When Star Wars Rebels Season 3 kicks off Saturday September 24, 2016, it has a lot to follow up on. With confrontations, revelations, deaths, injuries, and dark turns in the two-part season finale last spring, every single main character comes away drastically affected. None of the crew of the Ghost are as obviously and outwardly affected as Kanan, though, as the Jedi was blinded in battle with the former Sith lord Maul. Being a Jedi isn't quite that easy, though, something Kanan has learned time and again, but still continues to discover. After all, he was a padawan when Order 66 was enacted, killing his master in front of his eyes alongside the vast majority of other Jedi. He's hidden his powers - and his sense of what's right - and just as he began to embrace them again and pass them along to his own padawan, Ezra, he has another drastic change with his new handicap. Hopefully that doesn't spell doom to what many have perceived as a relationship that flies in the face of the strict Jedi rules against attachment: the deep, personal (maybe romantic) connection between Kanan and Twi'lek pilot Hera. For now, Kanan will once again become the student to the new Force-sensitive creature Bendu, a mysterious and aged being that can feel and manipulate all aspects of the Force seemingly with ease and without corruption. 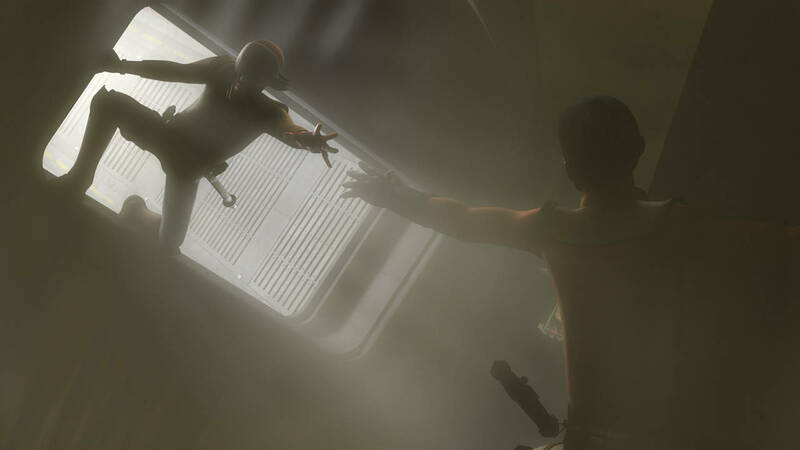 With more to learn, changes within and without to deal with, and a new villain looming (a blue faced guy you may have heard of named Thrawn), Kanan's journey is far from over as Star Wars Rebels returns.